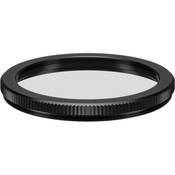 Kowa's 72mm TSN-AR Series Camera Adapter Ring is used to mount your DSLR or point-and-shoot camera to compatible Kowa spotting scopes using the lens' filter threads. The adapter ring screws onto a compatible eyepiece digiscoping adapter, sold separately. Attach the digiscoping adapter to the scope's eyepiece, and attach the camera adapter ring to your camera lens. Connect these two assemblies, and you can take advantage of the scope's magnifying power for long-range photography. Box Dimensions (LxWxH) 3.3 x 3.1 x 1.0"